The Safety Consultation and Training Section (SCATS) of the State of Nevada’s Division of Industrial Relations recognized Nature’s Bakery in Carson City on Feb. 6 for their successful entry into the Safety and Health Achievement Recognition Program (SHARP). While in the program, Nature’s Bakery has seen tremendous success in its Carson City production facility’s safety programs. The Company has been able to reduce the employee incident rate down to one-third of the average rate within their industry. In addition, the morale in the facility has improved with all employees taking part in the safety program. 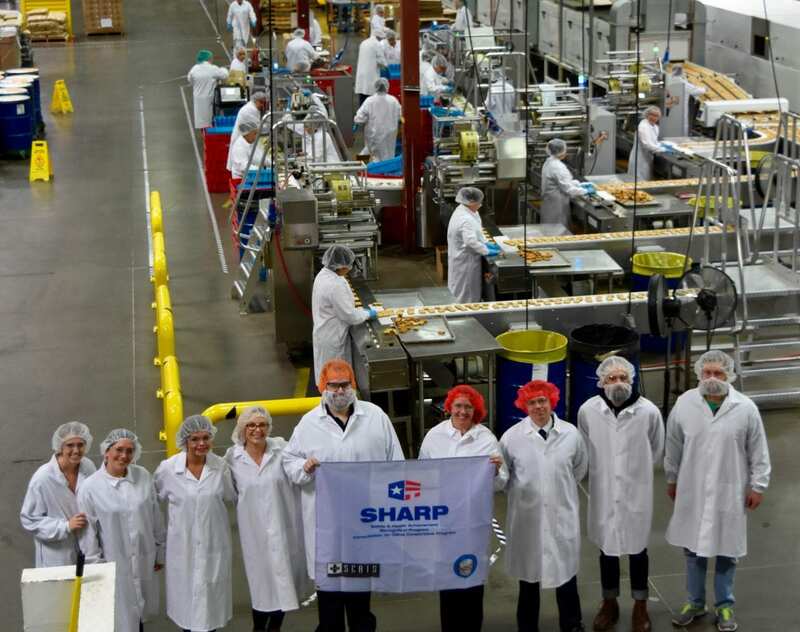 Nature’s Bakery joins an elite group of businesses that have successfully entered the SHARP program and maintain exemplary safety and health programs. Participation in the no-cost program is designed to provide incentives and support to employers to develop, implement and continuously improve safety and health programs at their worksite(s). By taking these proactive measures, a business can reduce accident costs and ensure compliance with Occupational Safety and Health Administration’s (OSHA) regulations. SCATS consultants provide employers with confidential hazard identification, program development, program implementation assistance and training. Employers that implement effective safety and health programs and have a days away restricted transfer (DART) rate below the national average for their industry group, may be recognized by SCATS. Successful SHARP participants receive a two-year exemption from OSHA’s general schedule inspections. Nature’s Bakery, headquartered in Reno, Nev., is an on-the-go snack and food brand that was founded in 2010, by father and son, Dave and Sam Marson. Focusing on quality and the use of thoughtful ingredients, the two set out on one simple mission – to create deliciously convenient snack and food products people can enjoy in their everyday active lives. Products include a variety of flavors of stone ground whole wheat fig bars, gluten-free fig bars made with a blend of ancient grains, and dairy-free double chocolate brownies made with whole grains blended with dates. Its products are Kosher, Non-GMO verified, Vegan Certified, dairy-free, soy free and made without high-fructose corn syrup. The founding philosophy of Nature’s Bakery is to keep it simple, have fun, and achieve balance in life through nature, activity, nutrition, and community. The company focuses on employee health and well-being as key factors in allowing for its expansion and success. Happy, healthy, and injury free employees are critical to any business, particularly one experiencing rapid growth. Nature’s Bakery recognizes how important it is to go beyond the basic rules laid out in guidelines and standards. Working closely with the State Safety Consultation Program, Nature’s Bakery has set its sights on a truly beneficial program for the employees’ welfare as well as the health of the company. Businesses interested in the SHARP program can contact SCATS at 775.824.4630. For more information on SCATS, or for a schedule of training courses offered at no charge by SCATS, call toll free 1.877.4SAFENV, or visit http://www.4safenv.state.nv.us.